Digital Frames Direct are the leading provider of Digital Corporate Gifts with a vast portfolio of very high profile clients including well known corporations such as Mercedes-Benz, Google, Chevron, Orange, Vodafone, BP and many, many others. With a large range of solutions including corporate branding via Screen Printed Logos or engraved logos, custom branded packaging, branded wake up screens and pre-loaded content Digital Frames Direct will have the perfect solution for your company at an amazing price. Contact us now by clicking on the request a quote button below, emailing us at sales@digitalframesdirect.com or if you would like to discuss your possibitlites further give us a call on 0117 330 2277. With large stock levels held in our Tetbury location we are able to ensure quick turnaround times for most orders, whilst working with our trusted partners to ensure a fantastic quality product every time. "Easily the best corporate gift we have given, and the service was outstanding"
What is a Screen Printed Digital Photo Frames? 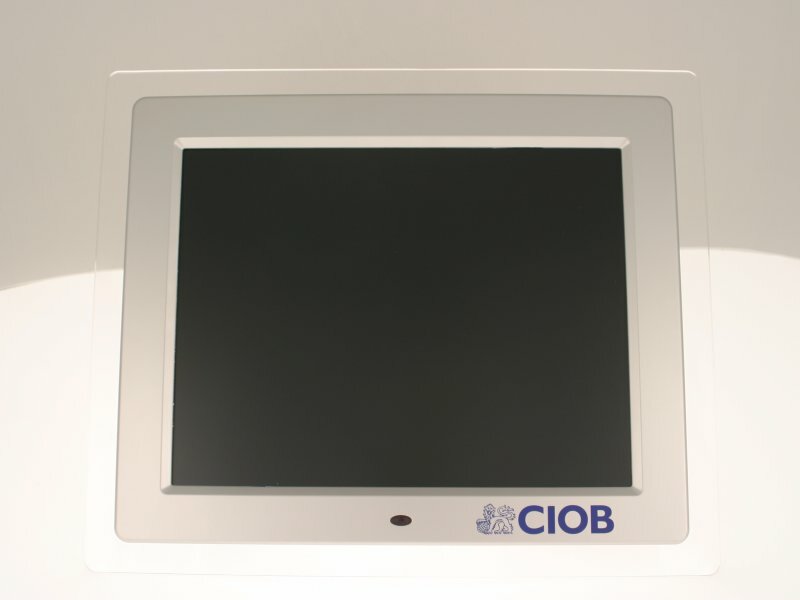 A screen printed Digital Frame has had a logo or an image printed onto the fascia/surround of the unit. 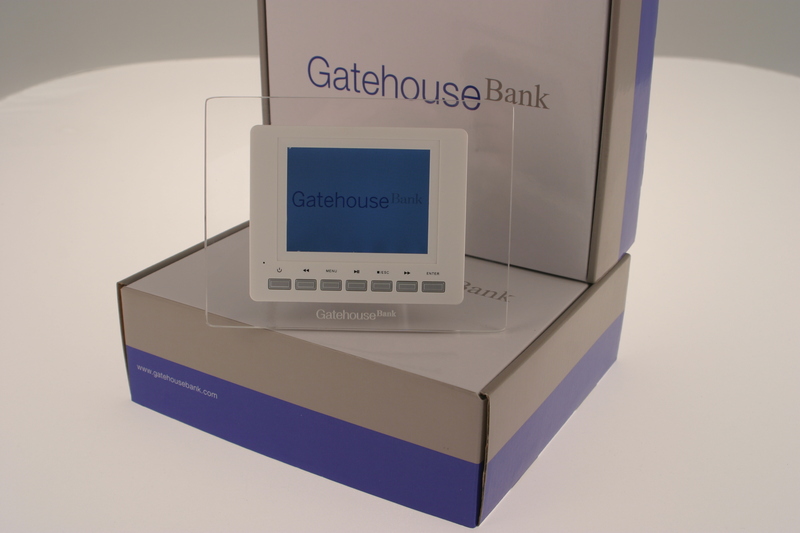 The vast majority of our product range can be printed with your company logo with great effect allowing you to use the digital photo frame as a point of sale product or a promotional corporate giveaway. All of our prints use solid colours and the relevant pantone colours associated with each logo. Due to the size of each logo being quite small no shades ore halftones can be used, just a crisp solid colour finish. Screen Printing uses a process where the image is output to film, which is then exposed to a light sensitive stencil which has been applied to a screen – a fine fabric mesh stretched over an aluminium frame. When the process begins this allows the ink to pass through the mesh in the shape of the image. The unit which is to be printed is carefully positioned in the printing machine so that the desired image is correctly positioned over the digital photo frame, which is locked into a jig on the machine bed. During the print process a squeegee passes across the image on the mesh and the ink is transferred onto the Digital Photo Frame which then dries, bonding the image to the unit. This process is repeated for each colour on the desired image or logo. Any images and logos which are to be printed need to be supplied as a digital file. To ensure the best results and a quick turnaround time with no delays this should be supplied as a vector file such as from Adobe Illustrator. Other formats are available although there is a higher possibility of experiencing problems. Please do not save a normal image file such as a JPEG in Adobe Illustrator or Photoshop as this will not work. The logo and the design need to consist of solid colours as we are unable to offer any halftones or areas of shading when printing on our Digital Photo Frames due to the size of the print area. Could this be your company? 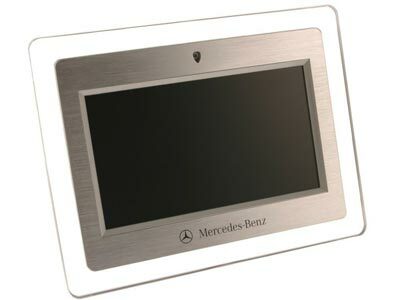 Mercedes-Benz were supplied with large numbers of our 7" Digital Photo Frames with a screen printed logo and a pre-loaded video to advertise the new Mercedes-Benz CL-Class. Digital Frames Direct delivered to Growhow a unique corporate Digital Photo Frame which consisted of a 7" Digital Frame with a screen printed logo on the front of the fascia. Each frame was supplied with a 1GB SD Memory Card and came presented in its own custom branded Growhow packaging. SmartStream approached our company to enquire about our 7" Digital Photo Frames and what items were able to be custom branded with their company details. 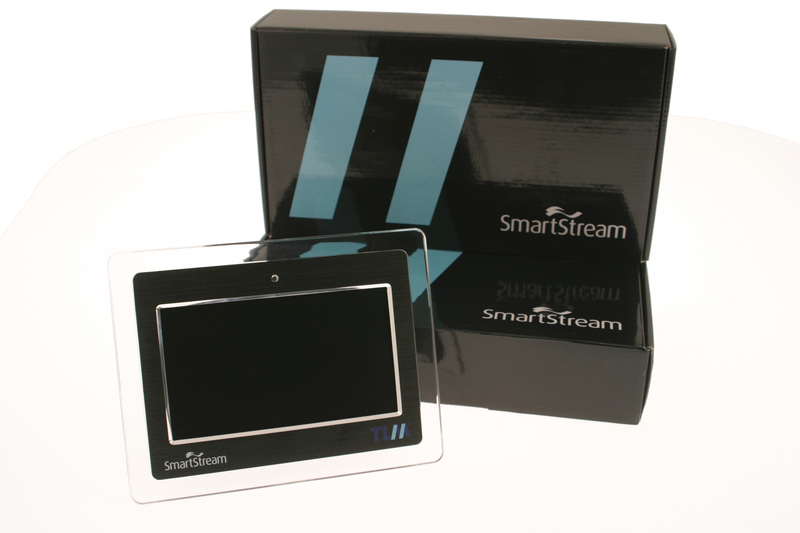 SmartStream left with a Black Digital Photo Frame with two separate screen printed company logos and a matching design on their bespoke packaging. IMG approached Digital Frames Direct to find a corporate giveaway for a number of sports events. After looking at numberous options a decision was made to have a screen printed logo on the fascia of a 7" Digital Frame. First Data required a branded giveaway to promote their services. Digital Frames Direct were very happy to design and supply First Data with a 7" Digital Photo Frame which included a full colour screen printed logo and also a custom branded product carton with extra fully branded sleeve. 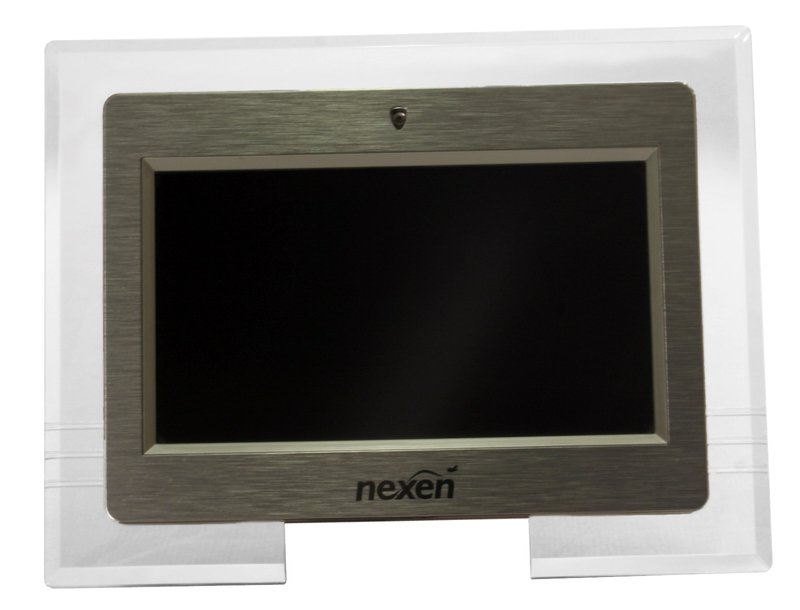 The Nexen project consisted of a 7" Digital Photo Frame with a single colour, screen printed logo which was used to give away to staff as a corporate award. 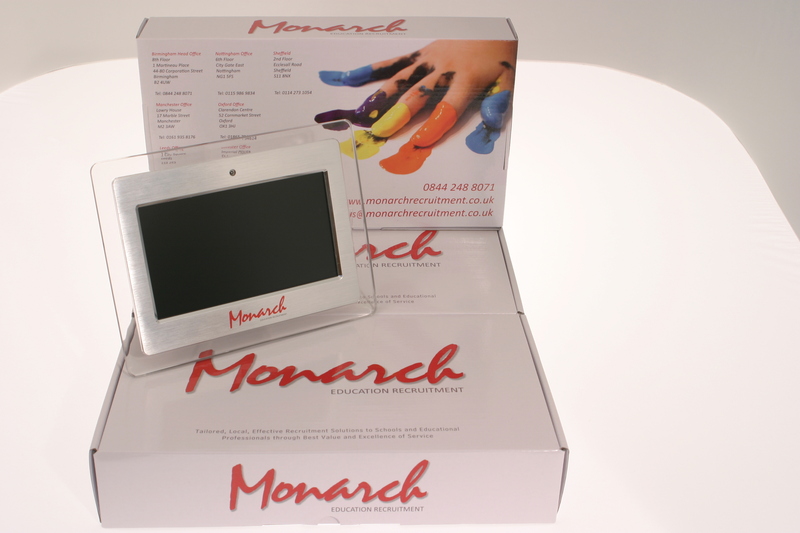 Monarch Recruitment were supplied with a white 7" Digital Photo Frame with a full colour Black and Red screen printed logo at the centre of the fascia. These digital photo frames were supplied in a custom branded carton ready for a corporate giveaway. 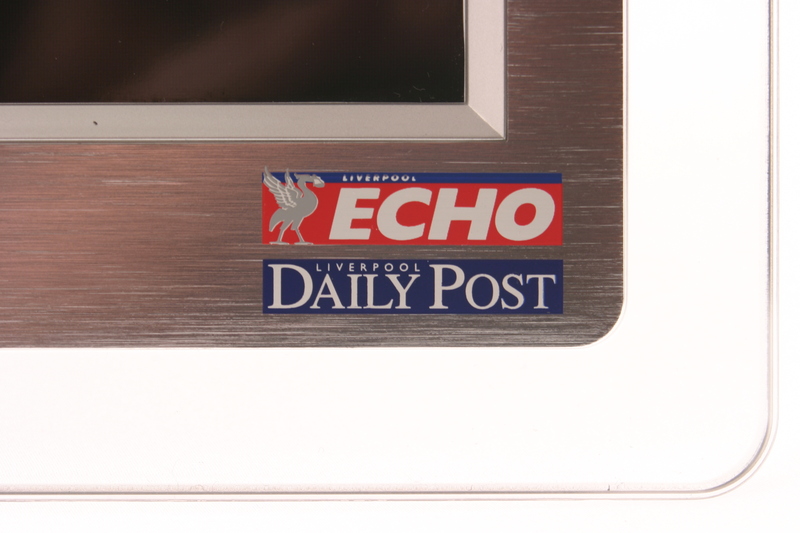 Echo Daily Post required a product which could be used to give to staff members for a corporate gift. After telling Digital Frames Direct their requirements we were able to supply a quantity of our 7" Digital Photo Frames with a full colour screen printed logo. 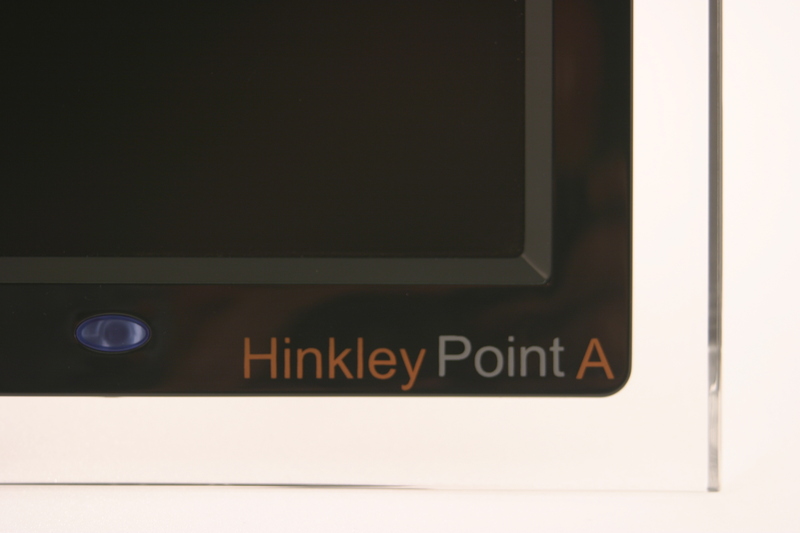 Magnox came to Digital Frames Direct to find a corporate giveaway ready for the decommisioning of the Hinkley Point A nucleur site. After a number of designs the final product was for a 7" Digital Photo Frame with a black fascia to include full colour printing in multiple positions around the frame. 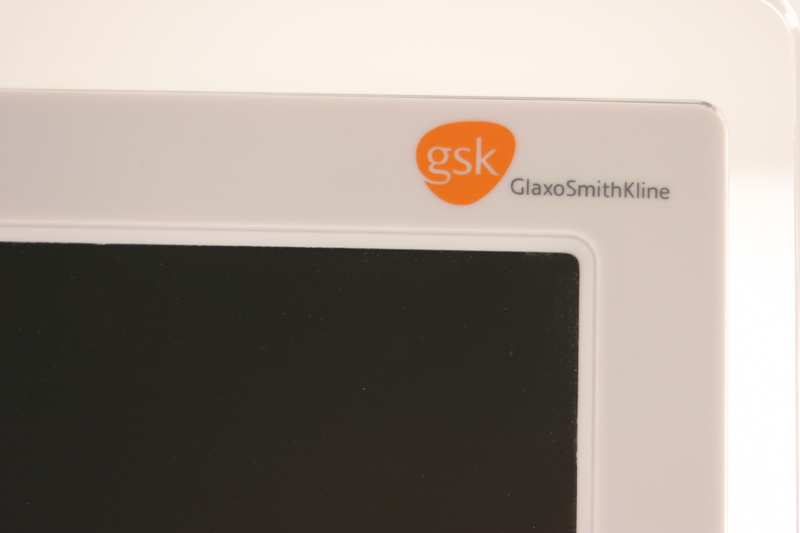 GlaxoSmithKline wanted a large quanity of personalised Digital Photo Frames foto promote the GSK brand and were supplied with a full colour screen printed fascia and pre-loaded contact for their brand. Experian came to Digital Frames Direct in search of a small Digital Photo Frame which could be customised with their own company branding. 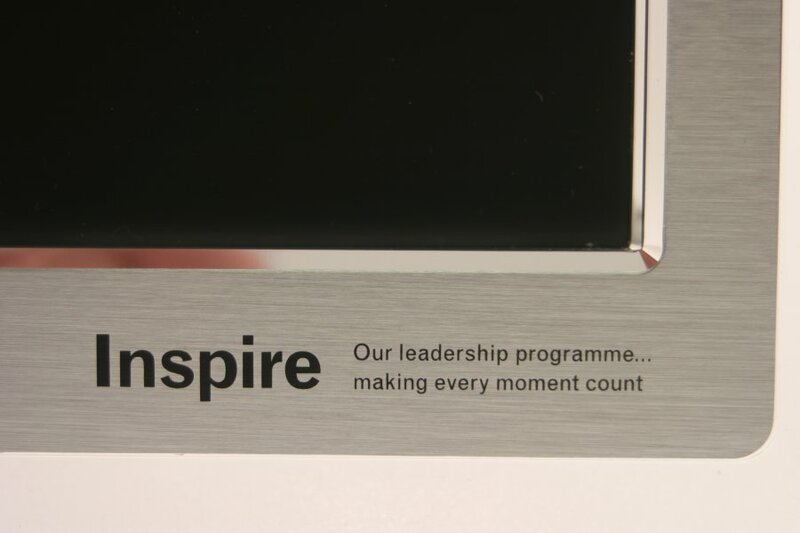 The product chosen was a 7" Lumina Digital Photo Frame which consisted of Experian's logo screen printed into the bottom left corner of the fasica and also a screen printed text to promote their 'inspire' program. 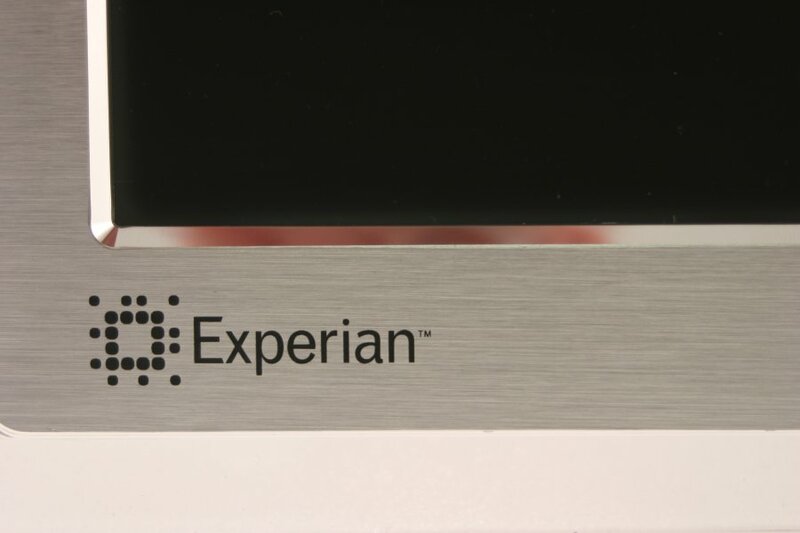 These simple prints gave Experian the perfect product to hand out as a promotional giveaway. Digital Frames Direct are pleased to have provided a simple Screen Printed logo on a quantity of our 7" Digital Photo Frames. This project consisted of a clean, black print on a brushed aluminium surround. 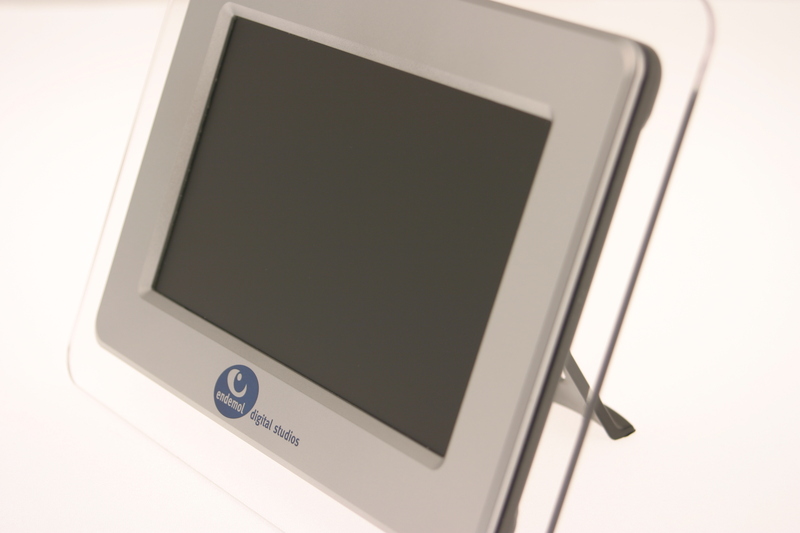 The Endemol Project was provided by Digital Frames Direct on our 7" Memory View Digital Photo Frame which has since been replaced with our newer 7" Lumina Digital Frame. A full colour screen printed logo was provided at the centre of each silver fascia. Our Lumina range of Digital Photo Frames can be beautifully engraved to give a high class customisation and a high class corporate gift. 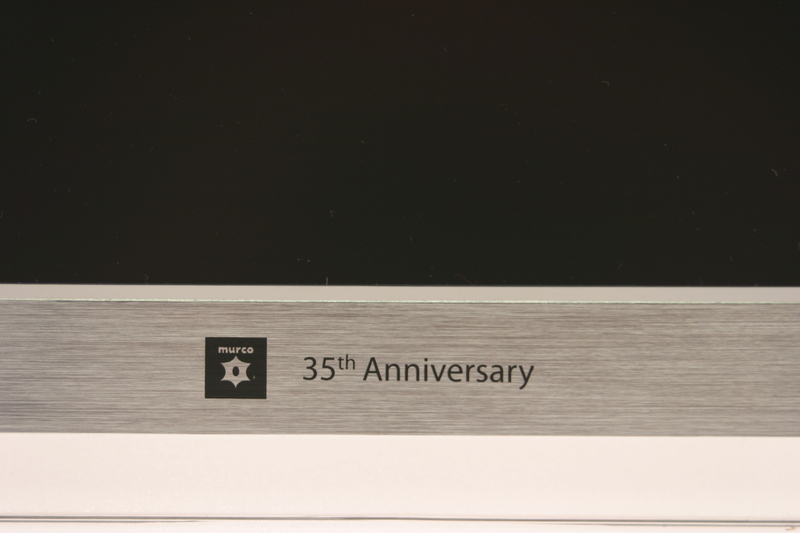 Each Lumina Digital Photo Frame comes with a brushed aluminium fascia and is perfect for the engraving of company logos or corporate messages. This type of branding is more subtle than screen printing, but still gives a branding effect on the front of the frame. The process of engraving was always a hand craft requiring the highest dexterity and skill often accumulated over decades. 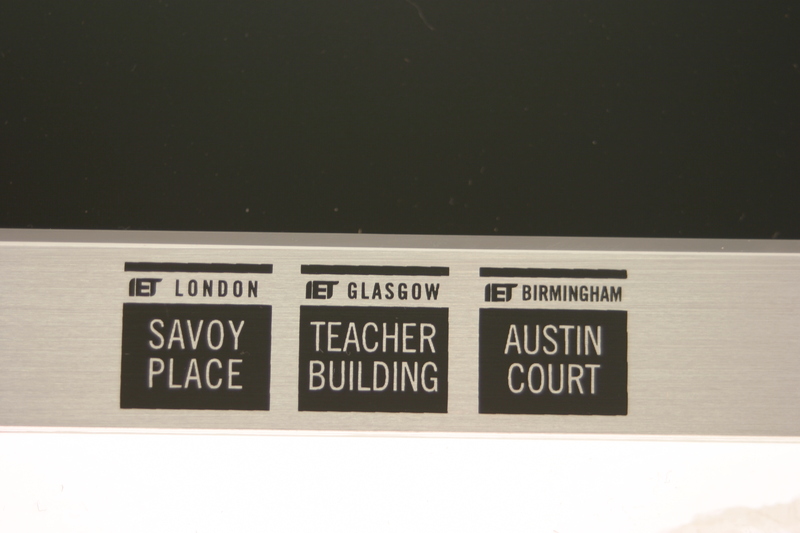 The modern process of engraving is now highly automated and considerably cheaper. Digital Frames Direct have all our customised Digital Photo Frames engraved done by a local partner who has over 150 years of engraving experience and who only specialise in engraving. The quality of their work is absolutely outstanding and there is no doubt that a well engraved logo on a digital photo frame can give a quality of presentation way beyond that of a screen print. Each logo needs to be supplied as a digital file. Unlike screen printing this does not need to be an EPS file, and can be supplied in JPEG, BMP, GIF and TIFF formats. Each engraved project is a representation of each logo. Whereas we can provide you with a proof with regards to the positioning of the logo, and exact style the logo that is produced cannot be proofed. A one off sample can be produced at a cost of £30 if this is an issue. Please be aware though that Digital Frames Direct have never had a complaint about any engraved logo, and have only received great feedback and delight at the final outcome. 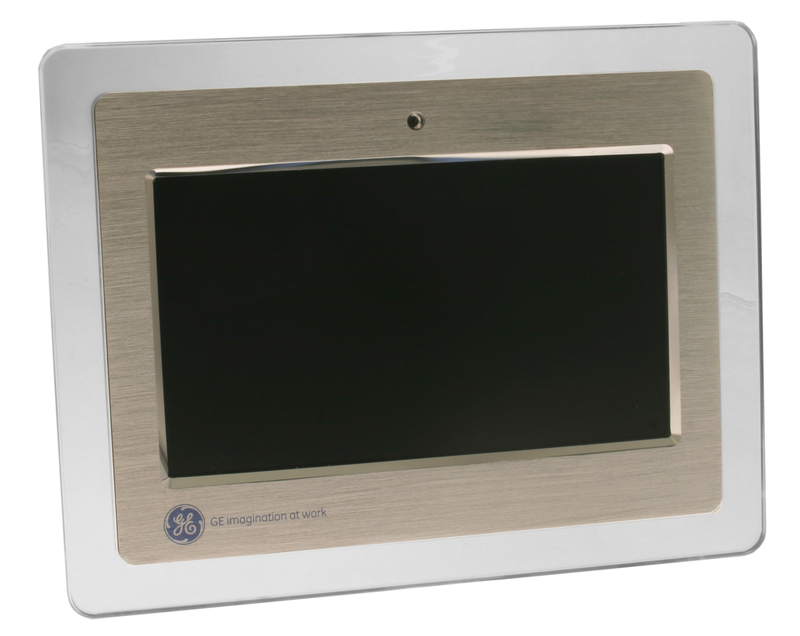 Each Living Images Digital Photo Frame can be modified to show your company's logo as the frame's wake up screen every time the digital photo frame is turned on. Each Wake up Screen needs to be supplied in a digital format. The preferred format is a JPEG Image. To see how the wake up screen will look on the digital photo frame you are advised to upload the wake up screen onto a memory card and insert it into a sample Digital Photo Frame. Branded boxes are the perfect way to distribute your company's coprorate gift and this can be done for any quantity of products from Digital Frames Direct. After this there is the option to have your gift box fully customised. To do this we will supply you with a template of our packaging for your design team to fill out, this wull be supplied as a blank canvas. For this type of printing a full colour print design can be used so the possibilites are endless. Each design whether your are sending us a completed template or simply your company logo will need to be supplied in a high quality digital format. The recommended format to send us will be either an EPS file for company logos and for design templates a high quality PDF document. Please note that if your PDF file is not larger than 2MB then this will not have a high enough resolution to print to the desired quality. Die cuts are provided for the design template and print proofs can be supplied on request. If you would like to see a sample of our branded boxes then please contact us either by calling our experienced sales team on 0117 330 2277 or emailing us at sales@digitalframesdirect.com and we will be very happy to send you out a sample with one of our digital photo frames. 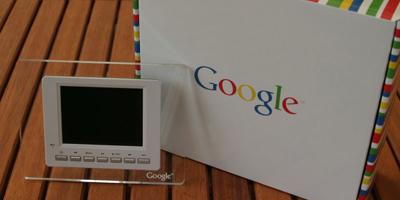 Digital Frames Direct are proud to have supplied Google with a large number of Digital Photo Frames to be used as a corporate giveaway. 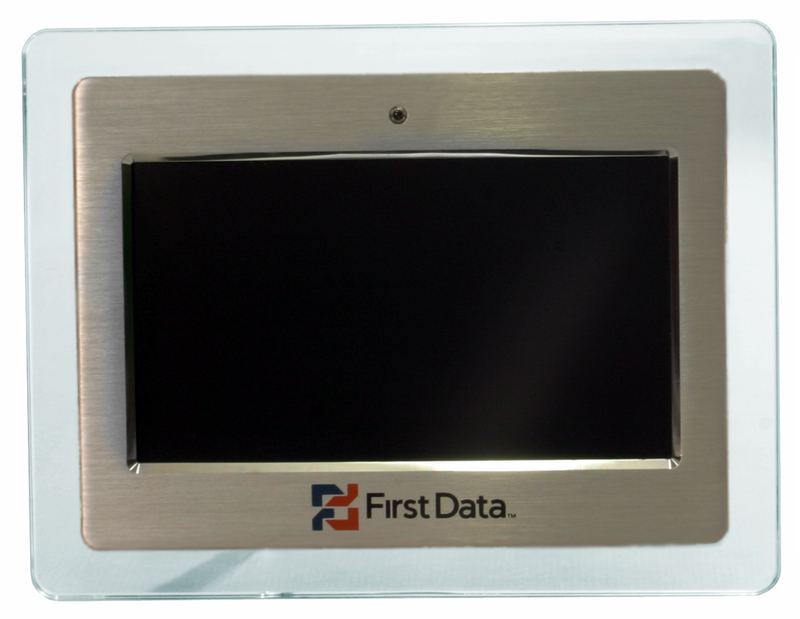 This project consisted of a 3.5" Digital Photo Frame with their company logo screen printed onto the clear acrylic on each unit. Every Digital Photo Frame was then supplied in its own customised presentation box printed in full colour with the company logo on the front of the packaging. 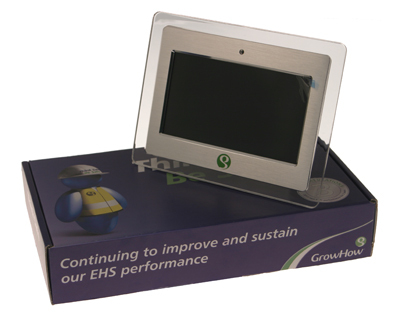 GrowHow approached Digital Frames Ltd to source a product for their marketing campaign. 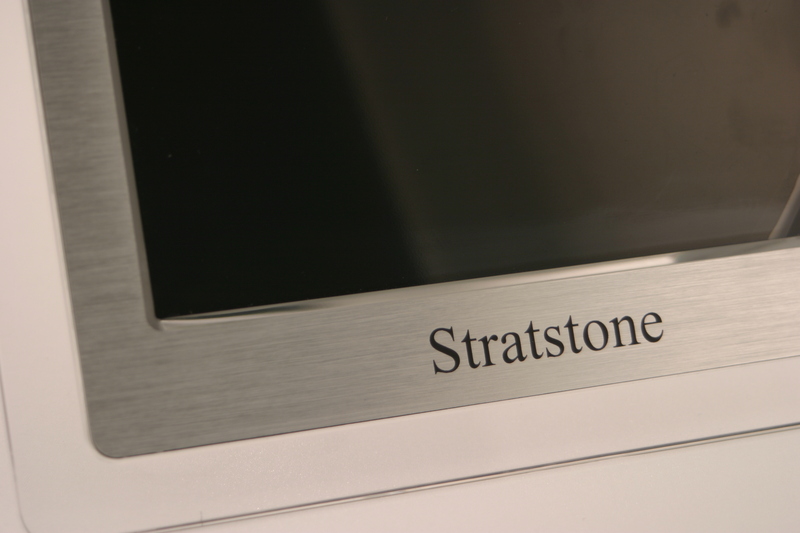 After looking at several options they decidded to opt for our 7" Lumina Digital Photo Frame each with a full colour printed logo at the centre of the brushed metal fascia. These were then packaged into fully printed branded packaging ready to giveaway. 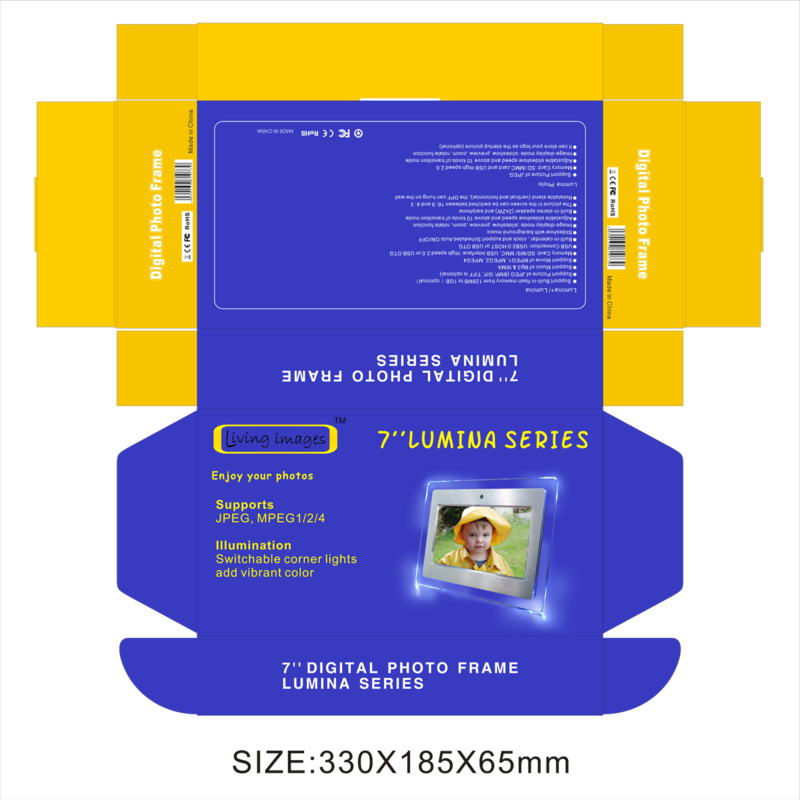 Smartstream required a promotional giveaway in the form of our 7" Lumina Digital Photo Frame although needed this to be available in the correct colours. Digital Frames Direct happily customised the usual brushed metal fascia to be changed from silver to black so that Smartstream were able to customise this to match their company profile. This project included a full colour print on the front of the digital photo frame with two separate logos and also a fully customised gift box. 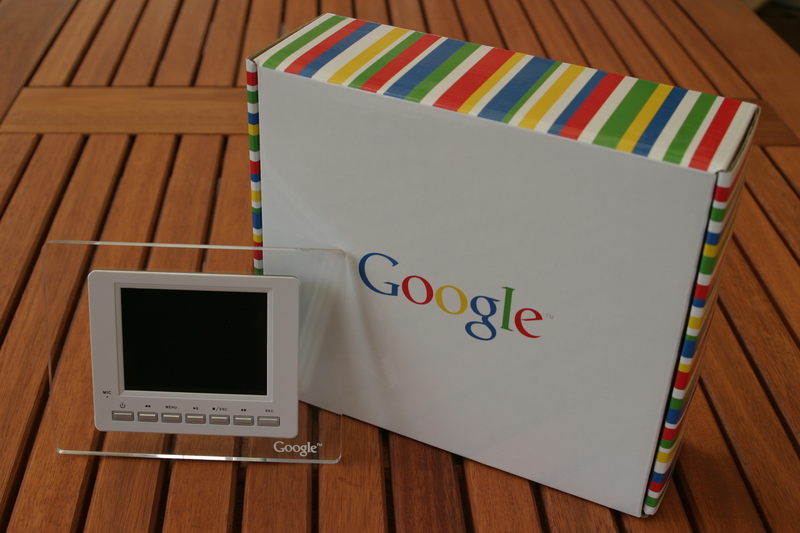 Gatehouse Bank came to Digital Frames Direct after seeing the corporate gift that we supplied for Google. In the same way as before, we were able to suppy a white 3.5" Digital Photo Frame with their company logo printed on the clear acrylic outer surround. The gift box was customised and printed in full colour to complete this promotional giveaway. Each Digital Photo Frame can be set up to play a promotional video or presentation the first time it is turned on. This is a great marketing tool and can be used to advertise a new product or an upcoming event.